There was a villagers' meeting. One of the villagers has proposed to prohibit baseball. A villagers' meeting was held. The house owner whose glass had been broken has proposed as follows. The people who loved baseball were very upset. Needless to say, they were against the proposal. 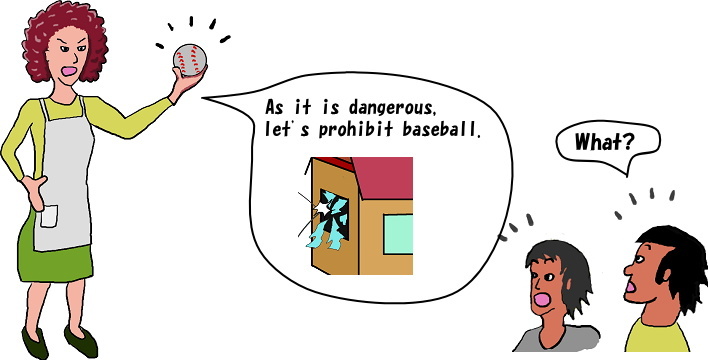 The writer has no intention to argue if the baseball is good or bad in this picture book.